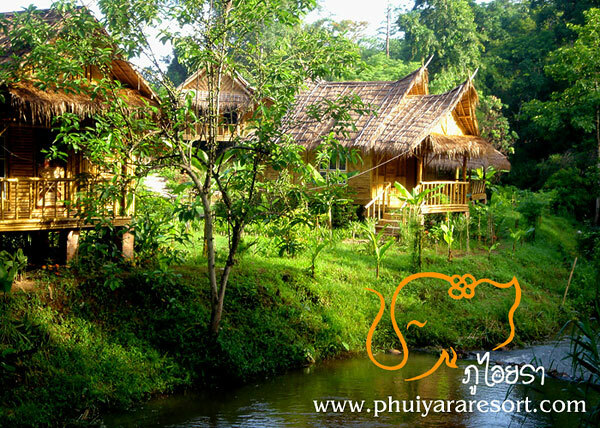 Phuiyara Resort is a great accommodation for those who would like to enjoy adventurous activities. 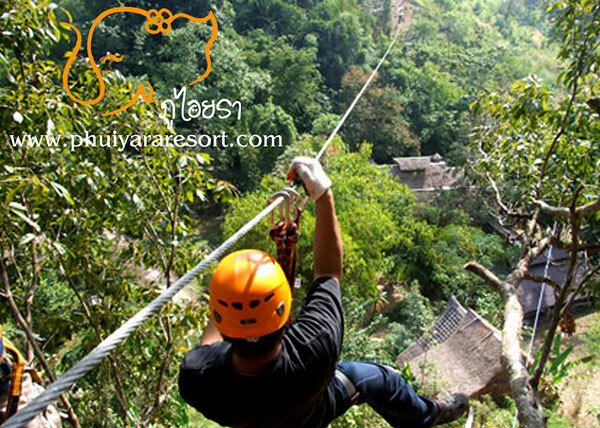 Apart from guest rooms in natural area, this resort also offers activities like zip line, ATV riding, walking on the ropes, and so on. 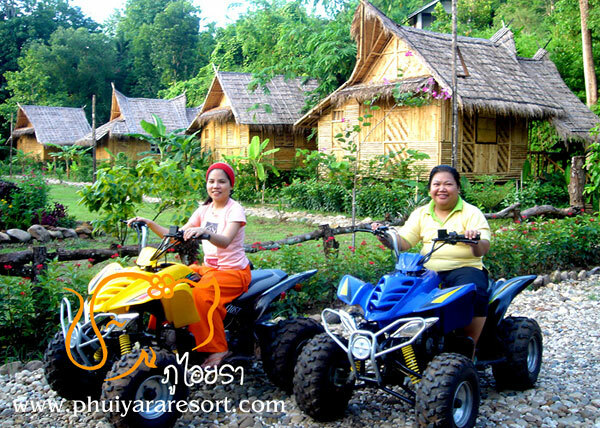 Although the resort is situated in the rural area, its standard amenities are still provided. 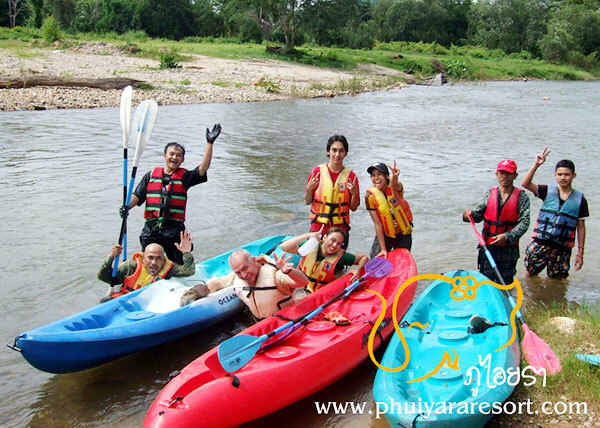 Those who are seeking for adventure and nature in Kanchanaburi should mark this accommodation on their list. 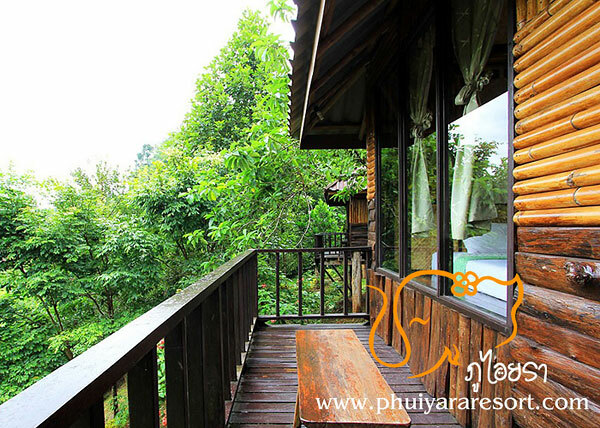 Phuiyara Resort is a beautiful resort surrounded with forest and mountains. The guest room is in the hut style house, where the garden is also around the house area. Guests can enjoy green environment from the first step from the house. There are two types of guest rooms in the resort – houses at the foothills and houses at canal. These houses are built with the combination of Traditional Thai style and Mon style. Each house provide standard amenities – air conditioning, televeiosion, water heater. Internet WiFi can be used in the restaurant area. Note that there is no fridge available in the house. 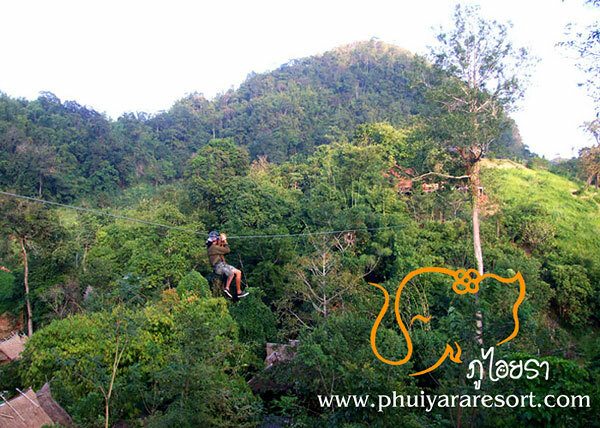 -	Riding ATV through garden toward a cave.